and on the other side has the words “Nitzachti v’Antzach” meaning “I won”. 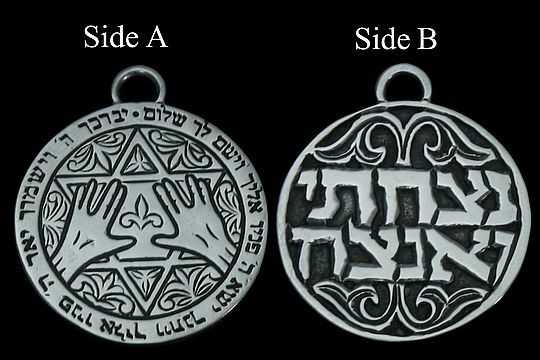 This Silver Sterling talisman is carefully prepared using old Jewish sources. protection, luck, fertility and a sharp mind.